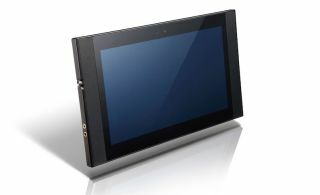 Onkyo Granbeat tablet has 4K screen, hi-res audio and DTS:X Premium support | What Hi-Fi? Onkyo looks set to take on rival tablet manufacturers Apple, Amazon and Samsung with a new tablet boasting an abundance of features and wide-ranging audio support. The Onkyo Granbeat is the first tablet to implement DTS:X Premium 1.0, which was announced earlier this year. The virtual surround sound technology offers multi-channel support for up to 7.1 channels, as well as DTS-HD Master Audio decoding and four configurable content presets. Featuring a 4K 12.5in display, the Granbeat has four proprietary Onkyo Dual Mold Diaphragm (ODMD) speakers, and supports DTS Play-Fi streaming and hi-res audio. The Granbeat tablet follows Onkyo’s Granbeat DP-CMX1 smartphone, launched last spring, which is also equipped to play hi-res files. Price and availability are yet to be confirmed. Also at MWC, Onkyo revealed details of its proprietary voice AI system, Onkyo AI, which the Japanese company says has been “created from the development and integration of several currently available AI-related technologies”. This isn’t Onkyo’s first foray into voice assistant technology, having announced the Alexa-supported P3 and Google Assistant-compatible G3 smart speakers at IFA 2017. The customisable platform will answer questions and play music, with 'Onkyo Voice' allowing the user to choose their preferred assistant's voice. The first products to feature Onkyo AI are the VC-AX02 (pictured above) – a prototype smart speaker designed to be used in a car – and a hands-free device called the VC-NX01, which sits around your neck and offers on-the-go 'concierge' services.